By Chloe Manchester, Kupona Foundation Advisory Board Member. It was a warm Friday morning in May 2018, and the first rain showers of the day had cleared. There was a quiet buzz around the CCBRT Disability Hospital campus in Dar es Salaam, Tanzania. Patients flowed through the gates, some sitting on benches in the reception area, some mothers holding their children on their laps, or nursing their newborns. For a hospital that serves between 400-600 patients daily, the work was just getting started. That day, I was visiting CCBRT’s Family Planning clinic, Tim’s Corner and meeting with Nurse Bola, Technical Advisor in Nursing. A group of clients was waiting under the shade of acacia trees on a patio next to the clinic. As I walked up, I found it hard to believe that the brightly painted clinic was once a commercial shipping container. Now, the carefully remodeled container was a safe and comfortable space for clients, CCBRT staff and patients to receive the confidential, high quality family planning care and information they need. In Tanzania, access to high quality sexual and reproductive healthcare is not only a convenience; it can be life saving and can break the cycle of poverty. A young girl is more likely to remain in school and pursue higher education or employment opportunities if she can avoid an unplanned pregnancy. A mother is more likely to safely space her pregnancies if she can access contraceptive methods. And a woman who is recovering from surgery to correct an obstetric fistula can give her body the time it needs to heal. I felt a great sense of pride to be part of my father’s legacy and I knew he would have been so pleased to see the progress at the clinic that bears his name. This was certainly not my first time at Tim’s Corner, but it has been a few years since my last visit. I could see and feel that there had been many improvements as soon as I walked in. 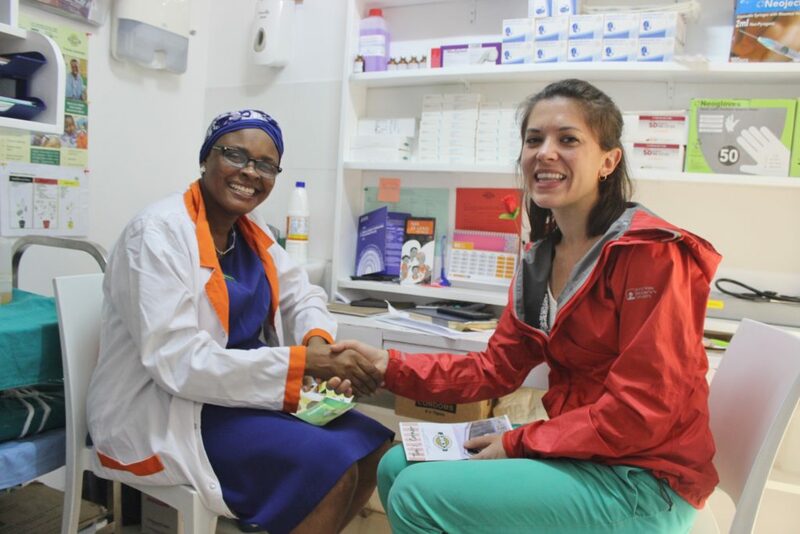 The shelves were stocked with contraception options trusted throughout Tanzania, and all the necessary supplies, medical equipment and educational materials. Many of the health centers and dispensaries I have visited in Tanzania have struggled to keep basic commodities and supplies in stock. I consistently have heard complaints of staff shortages, lack of space and long wait times for clients. However, Tim’s Corner, located in a busy neighborhood in Tanzania’s largest city, is well stocked and outfitted to serve adolescents, people living with disabilities, and the most marginalized members of the community. 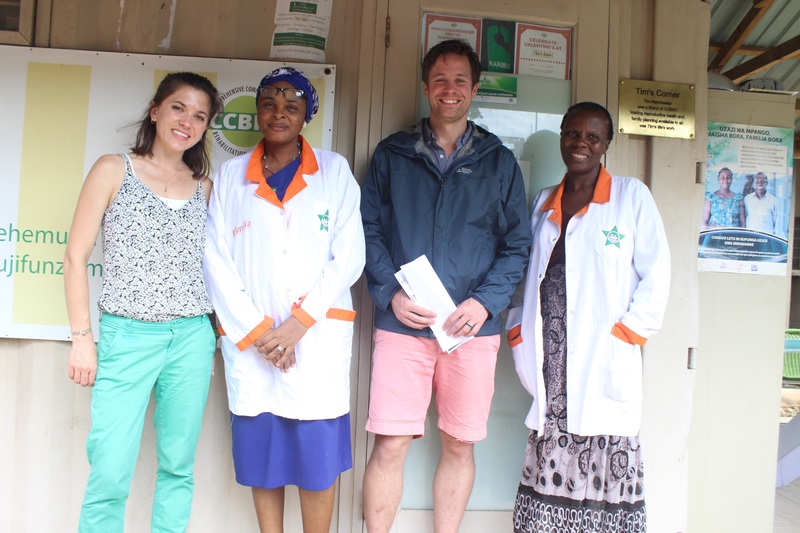 My discussion with Bola and the Tim’s Corner nurse-midwife gave me even greater assurance that the clinic was delivering a high standard of care to their clients. During our visit Bola received a phone call from a young woman. In Tanzania, many nurses and midwives serving in family planning health centers give out their personal cell phone numbers in case their clients have questions about symptoms or need further guidance when using a certain method of contraceptive. After finishing her call, Bola explained that the woman wanted to come in to discuss her contraceptive options on a Saturday. Unfortunately, the clinic is closed on the weekends. The young woman wanted to come at a time when she would not have to worry about being spotted by a neighbor or family member who might happen to be at the hospital. There is still a great deal of social disapproval for unmarried women using contraception, especially adolescents. It is for this reason that we are exploring the possibility of keeping Tim’s Corner open on Saturdays for just a few hours so the adolescent community of Dar es Salaam can comfortably access the care they need. Staffing can also be a challenge, because if a provider falls ill or goes on leave, services can be interrupted. 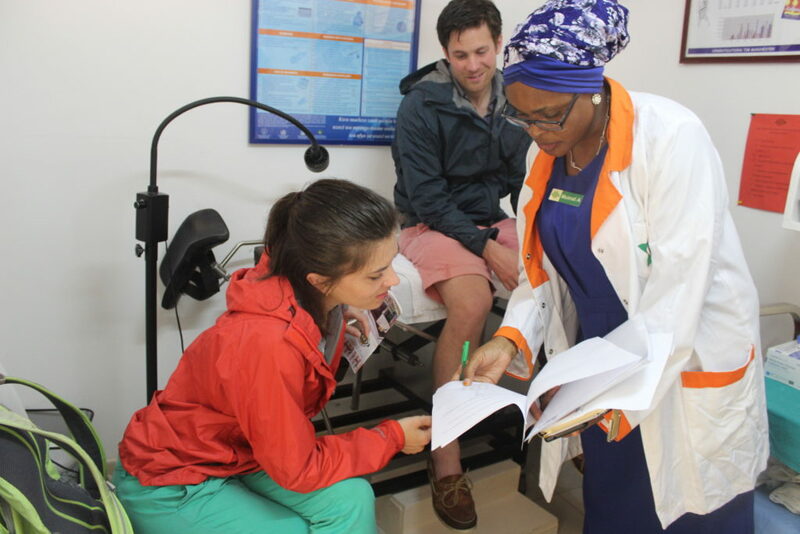 At the moment, staffing the clinic is the greatest operating expense, but we are committed to ensuring this care remains available to the populations we serve. The impact of high quality sexual and reproductive healthcare cannot be ignored. In addition to the positive impact on an individual’s life, there are farther reaching benefits for the community and Tanzania as a whole. The Post-2015 Copenhagen Consensus1 estimates that for every $1 spent on family planning, $120 is saved. At Tim’s Corner, our services cost an average of $35 per client or family. That means, our program generates over $4,200 in benefits for each client. Today, on World Contraception Day, I want to invite you to help us reach 500 more women and girls with the care they need. It costs just $35 to deliver counseling to one young man or woman. We can absolutely impact 499 more. To lend your support today, visit the CrowdRise page established in honor of my father and his belief that it is every person’s basic right to reproductive health services. Asanteni sana. Thank you all so much. Dear Chloe, I am very impressed by your dedication and the great contribution of Kupona is doing for the well being of women and children in Tanzania. I am very proud of you and you are the true daughter of your late father. He was a great man, and a true humanist. congrats and keep it up. Dr Kalambay Kalula.